INVOLVE YOUTH energizes young people for service. Rather than merely entertain or bore into deadness, INVOLVE YOUTH seeks to do what the name itself proclaims – to “involve” young people. Service is the highest form of involvement for a follower of Jesus Christ. With Involve Youth you can schedule a speaker for your youth event, plan training for youth ministry, hook into a short-term mission trip, discover a plan to reach out to missing young people, get a Doctor of Ministry degree in Intergenerational Church, discover new insights in the Book of Revelation, and purchase materials for youth ministry. 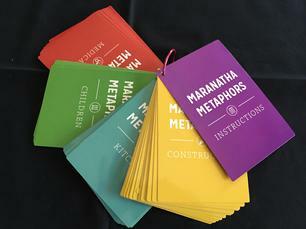 Use Maranatha Metaphors to spark ideas and discussion in your group at the start the day, for a transition before or after lunch, during group worships, or whenever the ideas cross your mind. Use these questions to prompt discussions for reflection and personal growth on a mission trip. So much happens in such a short time that it’s important to process the experience. 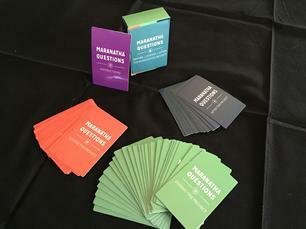 With 25 cards to start a discussion, divide your large group into smaller groups and have participants share their responses after one person draws the question from the deck on behalf of the whole group. You can report back to the larger group or move on to another question. For groups that form before the actual short-term mission trip, use the additional 15 questions for BEFORE a project, and later draw on the 12 questions for AFTER a project. While Maranatha Volunteers International created these questions, all short-term mission groups can benefit by fostering spiritual growth through reflection and discussion of the current impact of the participants’ various experiences. These 10 lessons are geared to prepare a person for baptism into the Seventh-day Adventist Church. The focus on concrete thinking includes lots of tangible and experiential learning activities. Ideas for the baptismal service, simplified baptismal vows, as well as follow up mentoring round out this spiral-bound publication. Use this with the Student Workbook for individuals or for groups. 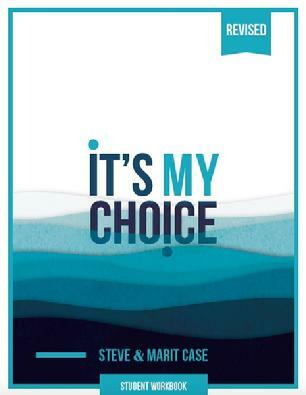 This revised edition of the Student Workbook for It's My Choice was created by Steve and Marit Case over the years as they learned more from God, from the "students" they have prepared for baptism, and through their interaction with each other. Simplified baptismal vows are included along with the standard vows for comparison. And a mentoring commitment certificate is also included for discipleship to continue following baptism. Discounts available by quantity. To order, click here. 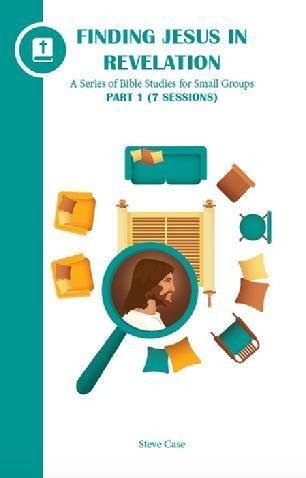 Here's a collection of 52 Bible studies geared for small groups. The introductory material explains how to lead and engage in "relational" Bible studies in which members of the group seek God's guidance in both understanding and applying Scripture to everyday living. An opening question "levels the playing field" so age or Biblical knowledge doesn't give one person an advantage or disadvantage over another. The rest of the prompts provide potential answers to questions to start the group discussion, as well as open-ended questions. This collection closes with prayer experiences for groups as individuals seek God's empowerment to live what God has revealed through the Holy Spirit during the small group Bible study. Discounts available for bulk orders of 10+, 50+, and 100+. You can order it by clicking here. At last—a collection of group-building activities to draw people together. How can you get a group of people to bond together? With Come Together you have a collection of group-building activities that begin with getting acquainted, then build with icebreakers, followed by interactions that start with low-risk activities, medium risk, and then high risk if and when your group is ready and willing to go that deep. Introductary material describes the "how to" of group building. Create your own sequence of group-building activities or follow one of the templates provided. Each activitiy includes a description, materials needed (if any), and follow up discussion questions. Youth ministry can be much stronger by building a team rather than going solo. 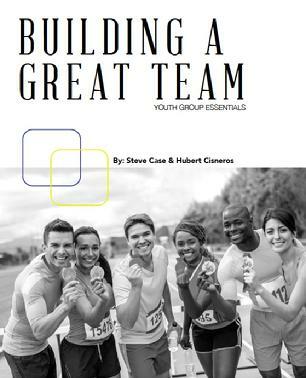 But how does one youth leader build a great team? Youth ministry veterans Steve Case and Hubert Cisneros draw on their experiences of what has worked and what hasn't worked to provide this collection of key concepts for youth leaders. 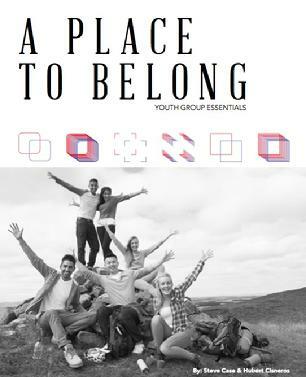 This resource builds on the previous resource A Place to Belong (summarized at the beginning of this book) with six chapters that an individual can read personally or can learn in a group or training session as a 1-day intensive or a weekend training. Basic youth ministry—that's what you'll find in this spiral-bound publication. If you're starting a youth ministry or wanting to revive it, this will provide you with the basic building blocks. If you're wanting to provide training for youth leaders, draw on these six chapters as presentations. With a foundation of relationships, you'll also find out how to make your programs count so that you reach the target. You do have a target, don't you? If not, this will help you identify a worthwhile target for youth ministry. You'll also develop basic skills like understanding the dynamics of working with people as individuals as well as with groups, plus the critical ability to lead discussions. 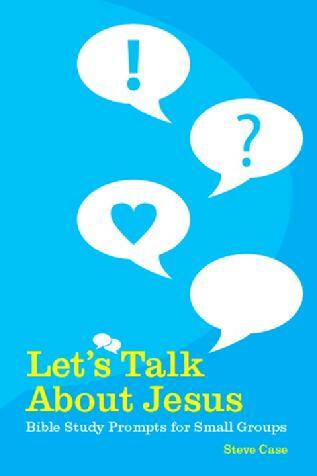 This useful youth ministry tool also includes 10 relational Bible studies. Steve Case started this Christian ministry in 1992 as "Piece of the Pie Ministries," believing that if we give young people a piece of the pie, maybe they'll stay for dinner! Steve had been a youth pastor, a seminary youth ministry professor, and a youth resource center director. In 2007 the name was changed to "Involve Youth." Now Steve travels where he’s invited in order to speak for youth events, conduct training seminars for youth leaders, direct short-term mission trips, teach youth ministry professionals, coordinate the Intergenerational Church cohort for the Andrews University Doctor of Ministry program, and create youth ministry resources. He also conducts Revelation 101 intensives for finding Jesus in the Book of Revelation.